I wonder what names are for all these tools in the picture? How are they used and what are they used for? This is a driver set. 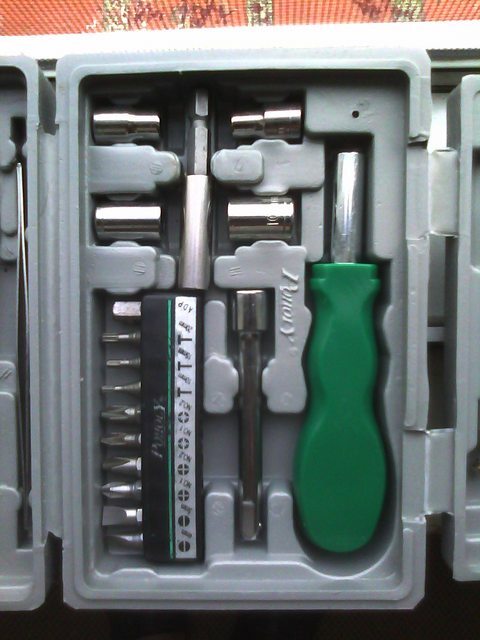 It includes a handle (the green item), several bits (lower left) and several sockets (upper left). The long items in the lower middle is an extender. One of the items in the bit tray is an adapter to allow the handle to accomodate the sockets. The bits make it a multi purpose screwdriver. The sockets make it a nut driver. What can these bits work on?